Sridhar R. Tayur, the Ford Distinguished Research Chair and professor of operations management, was elected to the National Academy of Engineering (NAE) in February, one of the highest professional distinctions an engineer can receive. He will officially be inducted into the NAE in October 2017 at an event in Washington, D.C.
Tayur was recognized by the NAE “for developing and commercializing innovative methods to optimize supply chain systems.” Tayur’s research covers supply chain management, enterprise analytics and software, private equity and lean operations, entrepreneurship and social enterprises, and health care operations. He is also the founder of OrganJet, a social enterprise that helps expedite matching for kidney transplants, and was the founder (and served as CEO) of SmartOps, an inventory and service-level optimization software company that was acquired by SAP in 2013. Each year three Ph.D. candidates are presented with dissertation awards recognizing excellence in research in areas such as operations, marketing, organizational behavior and more. This year’s award winners were recognized at the Ph.D. Awards Tea in spring 2017. The Dipankar and Sharmila Chakravarti Doctoral Fellowship Award, in recognition of outstanding contributions to research in marketing, was awarded to Zijun (June) Shi. She was chosen as winner of this award by a faculty committee led by Jeffrey Galak, associate professor of marketing. Four Tepper School of Business undergraduate students were selected for the 2016–2017 class of Andrew Carnegie Society (ACS) Scholars, a prestigious program that recognizes students who embody Carnegie Mellon University’s high standards of academic excellence, volunteerism, leadership and involvement with campus organizations. Senior business administration students Benjamin Chang, Harsimran Minhas and Radhika Dalal and senior economics student Gujri Singh were selected by deans and department heads to represent their class. The scholars are asked by the ACS Board to attend several educational sessions related to philanthropy, which provide the base for their experience in the program and an opportunity to act as real-world philanthropists during their time at Carnegie Mellon. Each scholar receives a monetary award, made possible by the generosity of Andrew Carnegie Society members, to support their academic and personal growth. The scholars also have the opportunity to give back to the university community, and the group of students serves as a foundation board designed to distribute several thousand dollars to a worthy organization or group of organizations on campus, allowing the students to experience the satisfaction that philanthropy brings. Two Tepper School of Business faculty members were recently awarded endowed professorships from the Carnegie Bosch Institute: Param Vir Singh is now the Carnegie Bosch Associate Professor of Business Technologies, and Willem-Jan van Hoeve is the Carnegie Bosch Associate Professor of Operations Research. The Carnegie Bosch Institute — which was created at the Tepper School in 1990 through a major endowment from the Bosch Group, and focuses on the improvement of international management and leadership — sponsors five academic faculty chairs. These positions are presented to professors whose research contributes to the fields of global leadership and international business. Singh joined the Tepper School faculty in 2008, and his teaching and research interests include social media and social networks, the economics of information systems, and structural modeling. In 2010 Singh was the American winner of the Google Online Marketing Challenge, and in 2015 he was one of the inaugural winners of the INFORMS ISS Sandra A. Slaughter Early Career Award, an award named for a former faculty member of the Tepper School. Van Hoeve has made notable contributions to the field of constraint programming, to hybrid optimization methods and most recently to the development of a novel framework for discrete optimization based on decision diagrams. His research focuses on developing new methodologies for solving discrete optimization problems and the application of those methods to real-world problems, and has been funded by the National Science Foundation and two Google Faculty Research Awards. Both Singh and Van Hoeve were honored for their new positions at a Tepper School reception in spring 2017. The Carnegie Mellon Leadership and Negotiation Academy for Women was recognized as a top program for continuing education at the 2017 Leadership Excellence (LEAD) Awards presented by HR.com. Each year Leadership Excellence, part of HR.com, identifies notable leadership organizations in its yearly ranking. This LEAD award for Open Enrollment recognizes excellence within continuing education programs that emphasize leadership and organizational development. The academy, which was ranked No. 1 in this category, was honored among other top programs, such as those at Harvard, Cornell and Stanford. The Carnegie Mellon Leadership and Negotiation Academy for Women assists senior-level professional women in developing critical leadership skills. The six-module program advances skills for female executives who are preparing to assume significant leadership and responsibility. Participants have the opportunity to master techniques in valuable areas including negotiation, leadership brand, communicating with impact, conflict management and financial decision making, among others. Leanne Meyer, program director for the academy and director of leadership development at the Tepper School, accepted the award at the LEAD2017 Conference in spring 2017. Sunder Kekre, professor of operations management and the director of the PNC Center for Financial Services Innovation, has been awarded the Vasantrao Dempo Chair Professorship. He was honored at a Tepper School reception last fall. This new endowed chair — sponsored by the Dempo Group of Companies in Goa, India, and established by Chairman Shrinivas V. Dempo, MSIA ’95 — was created in honor of Dempo’s grandfather, the late Vasantrao Shrinivas Dempo, and is designed to support teaching and research related to societal phenomena in India and to create a framework for collaborative American scholarship in India. The professorship will also build connections between the faculty at Carnegie Mellon University and those at leading Indian universities. Kekre’s research focuses on manufacturing and operations systems with an emphasis on new product development, leading innovation, strategic management of product and process designs, emerging global supply chains, management of productivity and customer satisfaction, and the integration of technology, processes and people issues in net-centric enterprises. 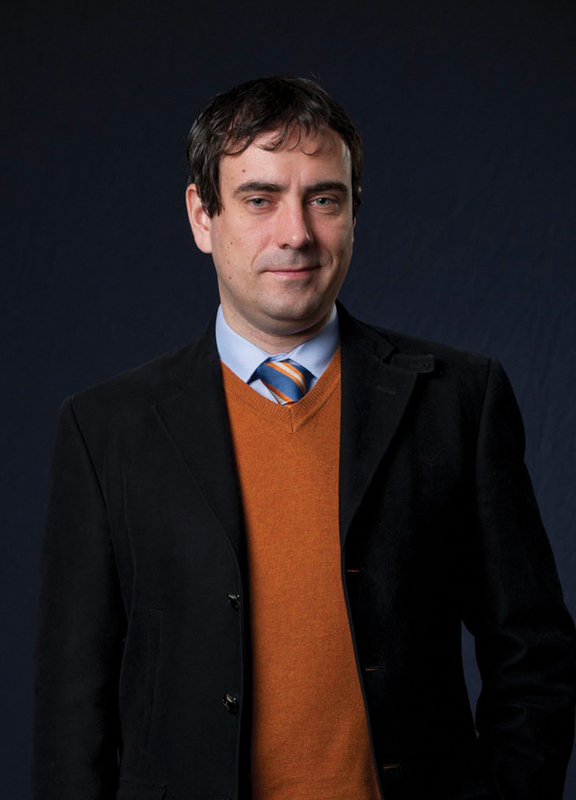 Laurence Ales, associate professor of economics, was selected by Carnegie Mellon University as the recipient of the 2017 William H. and Frances S. Ryan Award for Meritorious Teaching, a designation earmarked for full-time faculty members who have demonstrated a particularly high level of dedication to students and effectiveness in teaching. Ales, who joined the Tepper School faculty in 2008, was selected for this award “based on his breadth of teaching and courses designed, his innovative pedagogy, and his personal impact on students’ lives,” according to a statement from the university. Each year the William H. and Frances S. Ryan Award winner is recognized at the university’s annual Celebration of Education. The award is intended to recognize excellence in teaching; creation of challenging and innovative coursework, teaching methods and course materials; and effective supervision of research, projects and students. Each year Tepper School students travel the country — and the world — to visit prominent companies, network with alumni and build new professional connections. These “treks” take students to top markets such as New York, Seattle and Boston. In the winter of 2017, the Business and Technology Club and the Graduate Entrepreneurship Club took their treks to the West Coast, exploring the tech and entrepreneurship ecosystems of the San Francisco Bay Area. The Business and Technology Club visited the campuses of Uber, Cisco, Paypal, Google, Intuit, Veritas, Juniper Networks, Walmart eCommerce, VMware, Salesforce, Autodesk and Intel. The Graduate Entrepreneurship Club members enjoyed visits to prominent venture capital firms like Sequoia Capital and Accel Partners, accelerators such as Y Combinator and Hax, and several startups including Harmless Harvest, Prenav, BrightEdge, Heroku and Modsy. In addition to visiting top companies, the students met with Tepper School alumni in the Bay Area who shared experiences about working in the country’s tech and entrepreneurship hub. The Graduate Entrepreneurship Club hosted an “Entrepreneurs of the Bay Area” alumni event at the law offices of Reed Smith, while the Business and Technology Club students enjoyed a networking reception at the VMware campus in Silicon Valley. The VMware event also included a panel discussion with professors Tim Derdenger and Kannan Srinivasan about “Leveraging Advanced Analytics,” which was moderated by Dean Robert Dammon. Both clubs came together for an additional networking event at the Autodesk Gallery. In the fall the Tepper School Business and Technology Club hosted its second annual Tepper Tech Innovation Challenge, bringing to campus students from top business programs including the University of Michigan’s Ross School of Business, the University of Chicago’s Booth School of Business and Northwestern University’s Kellogg School of Management, among others. This case competition — sponsored by Cisco Systems Inc., PNC Financial Services and the Tepper School’s PNC Center for Financial Services Innovation — is designed to challenge participants to apply business techniques to products in emerging technologies. The team from the Tepper School — which included first-year MBA students Shavak Asthana, Edgar Macari, Shidhin Sarath and David Collina Fonseca — took second place. The first-place winner was the team from the Wharton School of the University of Pennsylvania. The competition was planned by the Tech Innovation Challenge Committee, which included second-year MBA students Nick Greos, Saraswati Kaul, Gonzalo Varela, Justin McMath, Fernando Casares, Nandita Mathews, Daniel Mercado and Ramakanth Kanumuri. The Undergraduate Marketing Organization (UMO), Carnegie Mellon University’s chapter of the national American Marketing Association, was recognized as the Top Small Chapter of 2016. This recognition is given to a chapter based on its annual growth, menu of activities and activity reports sent to the American Marketing Association. Activities that are taken into consideration during the judging can include professional development events, educational workshops, case competition performances, consulting projects, fundraising tactics, membership growth, external communication materials and community service. Members of the UMO Board accepted the award at the International Collegiate Conference in New Orleans, Louisiana. Because of its standing as Top Small Chapter, UMO was afforded the opportunity to serve as a host chapter for the 2017 International Collegiate Conference alongside groups from the University of Pennsylvania, the University of Wisconsin and Texas Southern University.